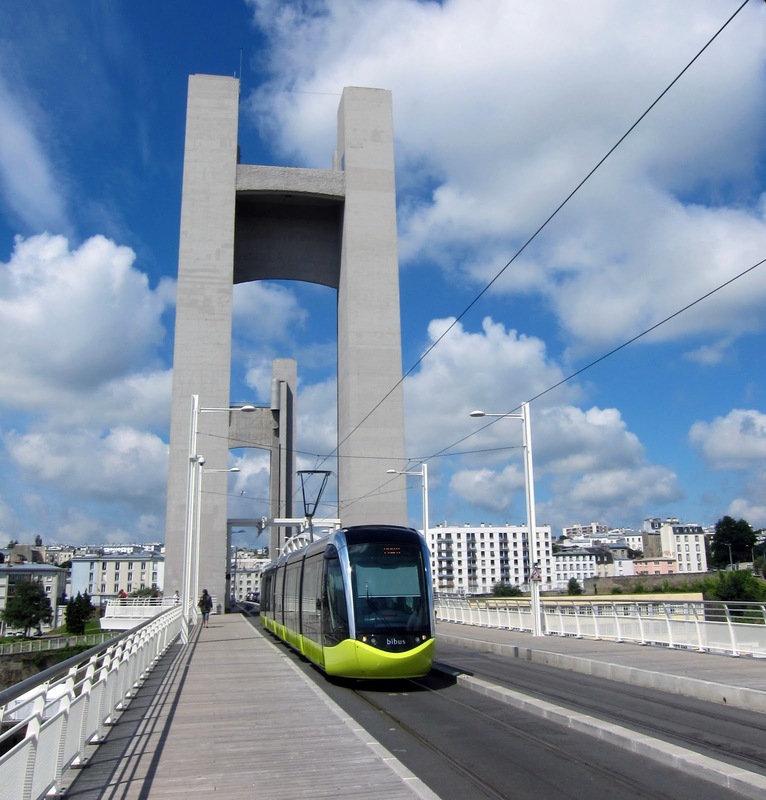 Yet another French city has a new public transport system running on rails. 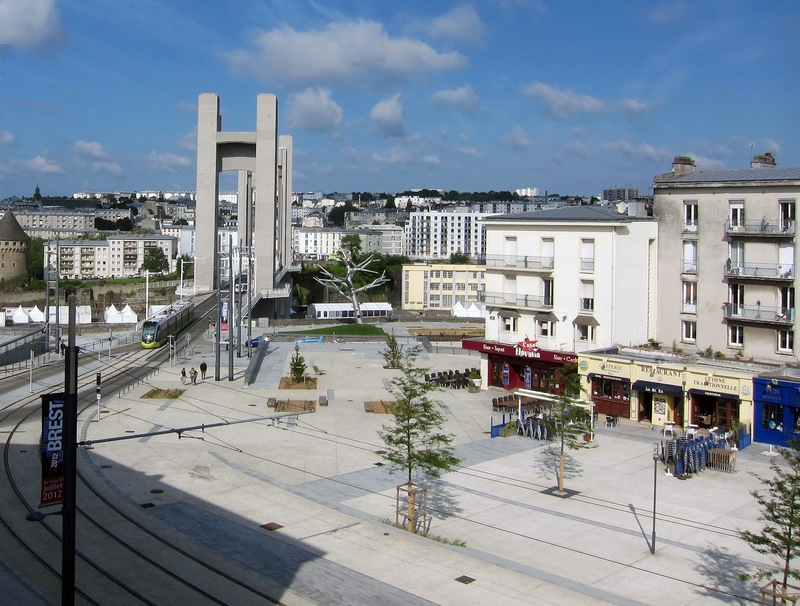 The port of Brest in Bretagne had a 3-line metre gauge tram system from 1898 to 1944 when the Allies bombarded the city because of its German U-Boot base, destroying nearly all of the old town. The tram fleet had consisted of 30 x 2-axle powered cars. 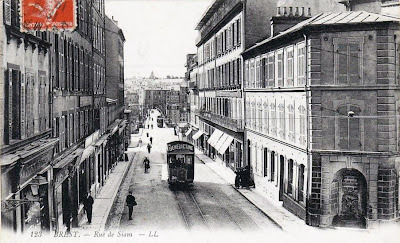 the old town's Rue de Siam was much widened when the city was rebuilt after WW2. 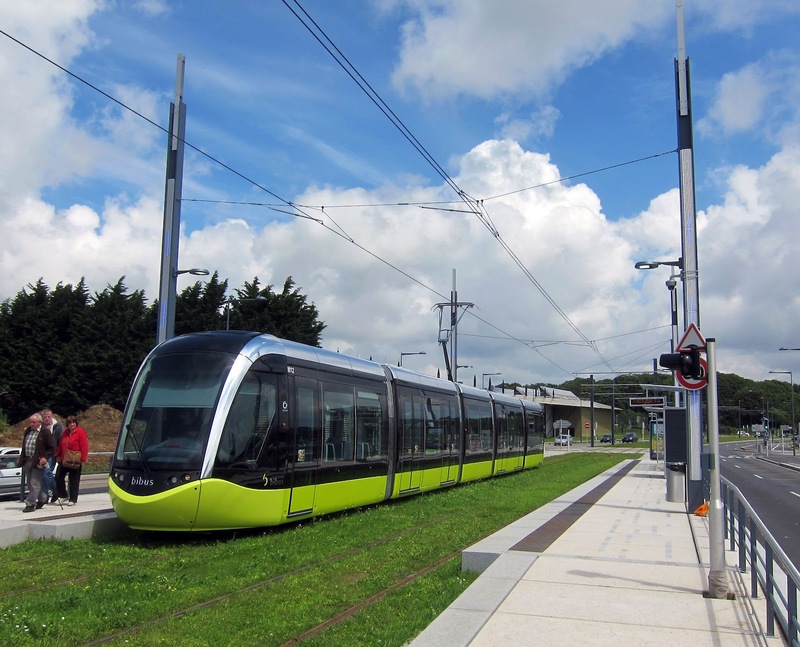 Two weeks ago on 23 June the city's new 14.3 km system was opened; standard gauge, one line through the centre from west to east using Alstom Citadis 5-car articulated sets, all power supplied from overhead. In the Quartier de Recouvrance, the gradients are steep: a 8.6% gradient is reached in the rue Saint Exupéry, unique in France, but the tram sets handle it with ease. a tram crosses the lift bridge over the port, originally built as a turning bridge n the 1850s. 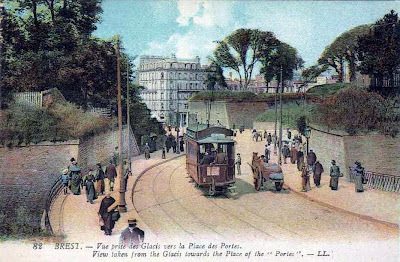 A tram at the Porte de Plouzané terminus, the tram barn can be seen in the background.